You can also check the Edition tools summary at the bottom if you're in a hurry. You can create a new Theme and that means creating and saving a menu template you can use over and over again. See this guide on creating a new menu template. To personalize a menu for the current project you are working on you want to Use an existing theme. 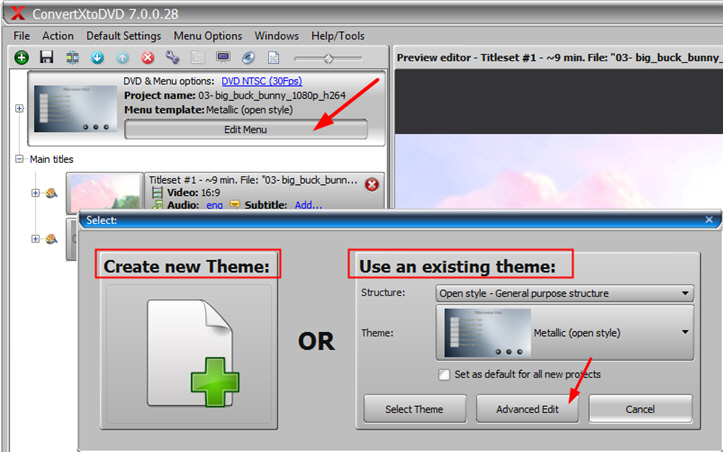 You will want to select the structure and theme you want to use and then click on Advanced Edit. 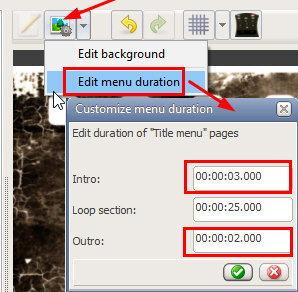 The menu editor offers different template structures specially adapted for different types of projects. 2. Determine here the type of project you are going to convert: is it a single movie, or more than one video? Old menu templates: If you install them separately, these are the templates you were accustomed to in the software's older versions. These templates are not fully editable. You can move items around but you cannot resize them. 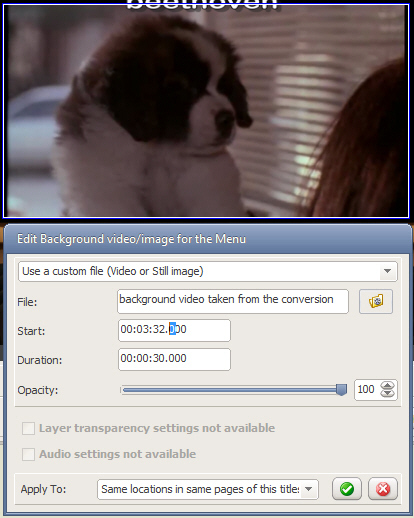 Download extra menu resources and old templates for CXDVD and CXHD here. 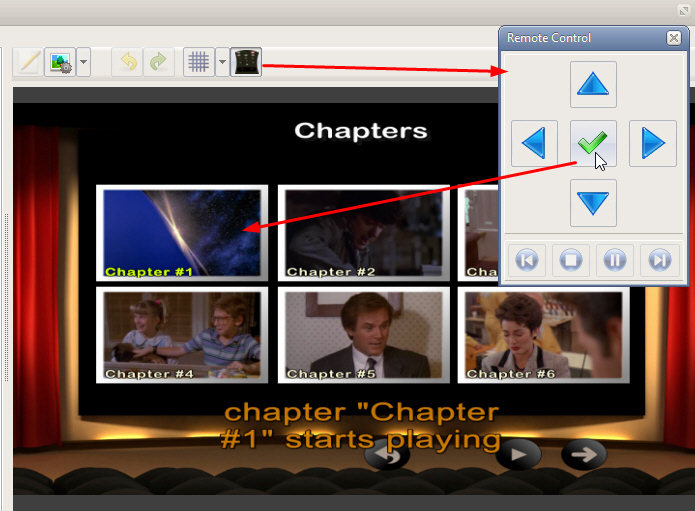 No menu: no menu will be generated so when you insert your disk to play you can navigate through your videos using the remote control buttons > to jump to the next title skipping through chapters if there are some in your videos. Select the Structure most fitting to your project, and then in Theme choose the template style you like best. *Tip: If you want to see a preview of each theme keep the Menu Options window open off to the side of the preview window and use the arrow keys of your keyboard to navigate through the list. In the preview window you will see "in big" the theme selected. The loading process of the theme will be more or less fast depending on how fast your computer is. If you do not find a ideal "Structure" for your project, we suggest selecting the "Open Style" and you’ll be able to replace any theme background images by your own (picture or video). If you always want to use this structure and theme every time check the "Set as default" box. If you don't want to personal the menu but just us a different menu in the list, select it and then press the button Select Theme. If you want more menu templates, background images, buttons or cool audio files to use in your menu get them here. 3. Once your selection is done and you've clicked on Advanced Edit the menu editor will open and your menu will appear in the preview: now the fun starts, and it’s pretty straightforward: by clicking on each item you will be able to edit and move them around. By clicking on the background, you can also edit it or replace it by a video or picture of your own. To move items around, click on the item and drag it to the desired position (leave your finger on the mouse and release when done). *Tip: You can also use your keyboard. Select an item and then press 'ctrl' + 'arrow keys' to move items or 'ctrl' + 'shift' + 'arrow keys'. You can move multiple similar type items together. 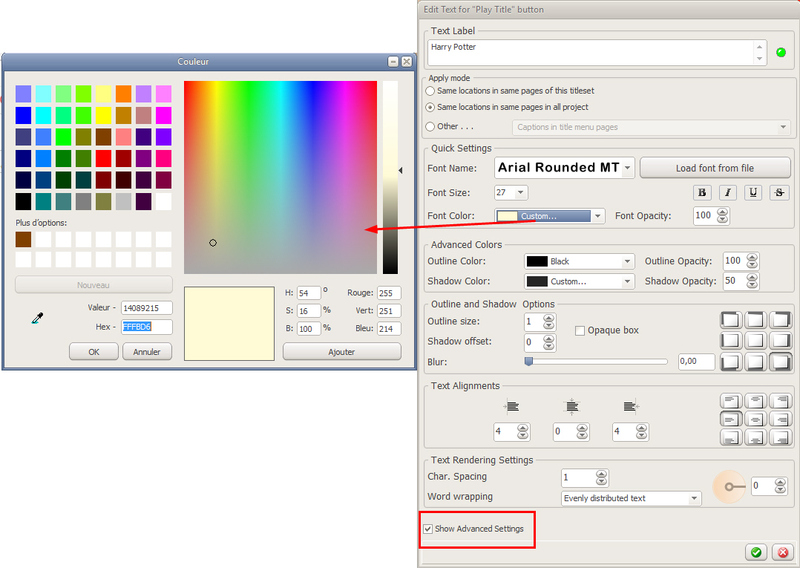 Select using mouse as a lasso ou select with mouse holding down the 'ctrl' key at the same time. 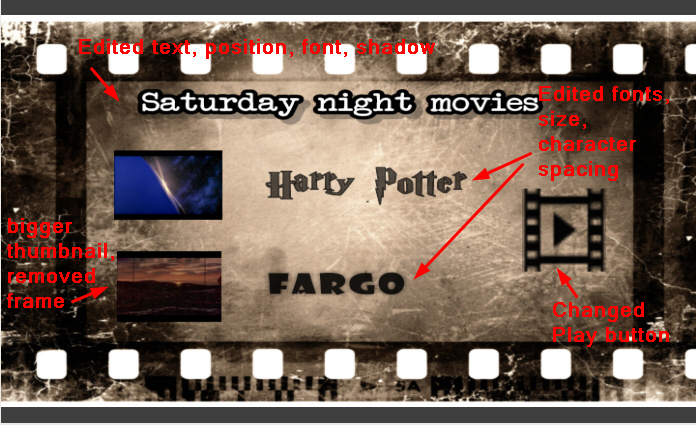 To resize item, click on it and use the arrows at the corners to get the desired size. 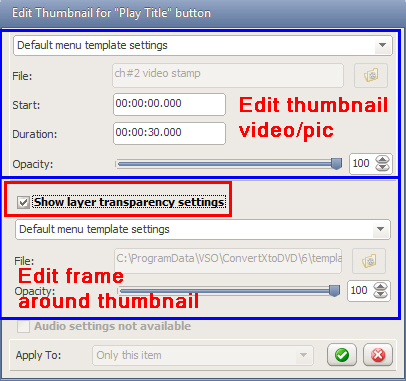 Click on the video in the background to edit it: you can change the video, its duration and even the starting time so you can have the perfect video extract playing. There are two main parts to the Menu editor. 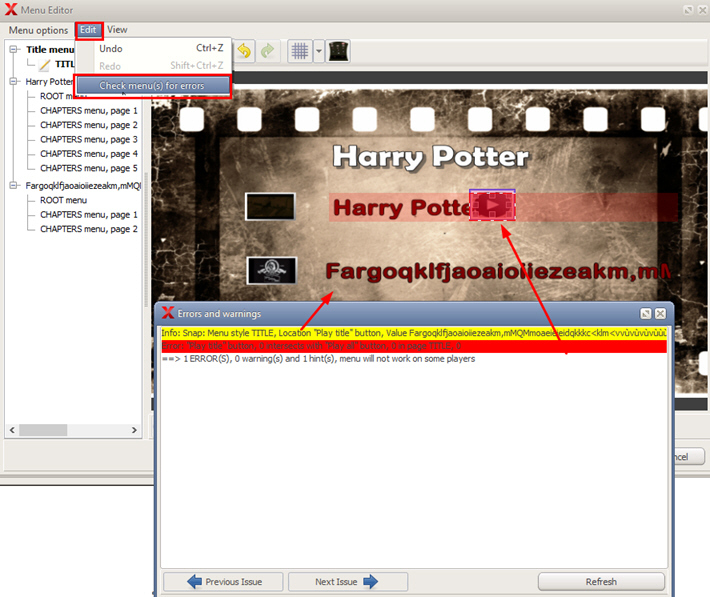 The left part (treeview) shows the menu pages associated with the videos files you have loaded in ConvertXtoDVD. 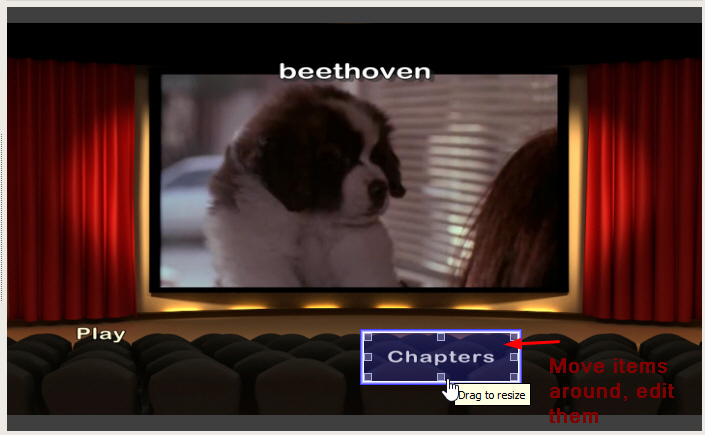 The menu pages are dependant on your video settings whether it has subtitles, more than one audio track, chapters . . . In the top menu if you select View | Treeview display mode, you can change the way items are displayed in the treeview. 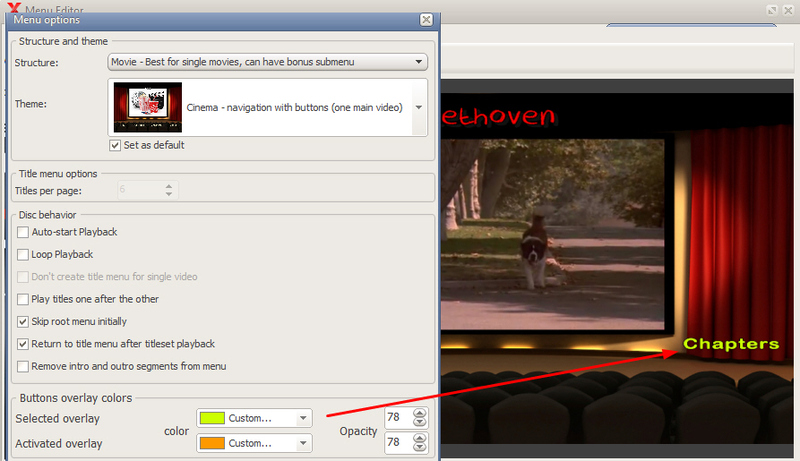 The treeview will also indicate which pages will be affected by the changes made in the editing window, i.e. you can set to have the changes made to the current page or several pages in the menu (see "Apply mode" in the editing window). 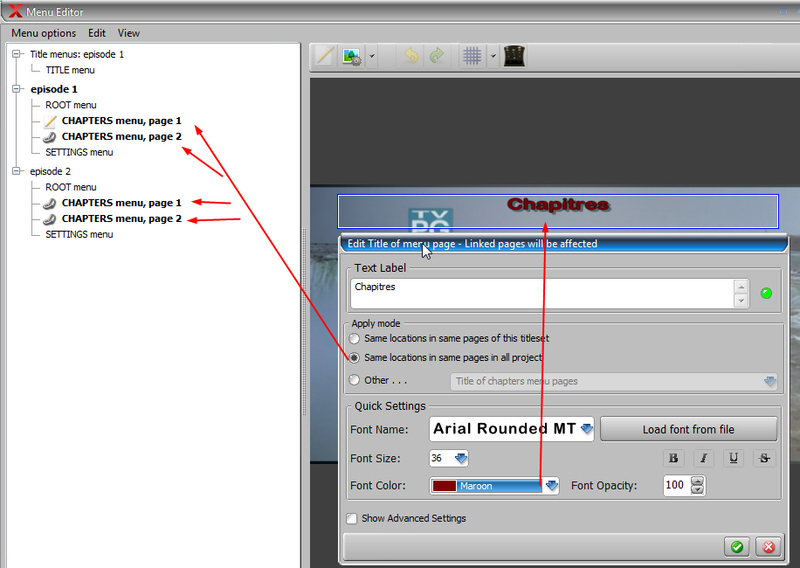 In this example below see "Chapter menu, page 1" has a pencil icon - that means this is the current page being edited. The other chapter menu pages are in bold text and also have a "link" icon next to their names, that means these pages will be affected by the change as well as per the apply mode set up in this window. You can use the Undo/Redo buttons at the top for more control on your editing. For more thorough customization, we advise to use one of the Open Style templates. To edit buttons, double click on the item to be able to load another one. You can decide to have the same button applying to all pages in the menu, or load individual buttons on each page. - by playing the preview by clicking on the play icon under the preview window. You must use the stop icon if you want to edit menu pages, clicking on the preview window put the playing menu on pause. You can press pause on remote and navigate as you want by clicking on the images or using the |< icons >| on the remote control. 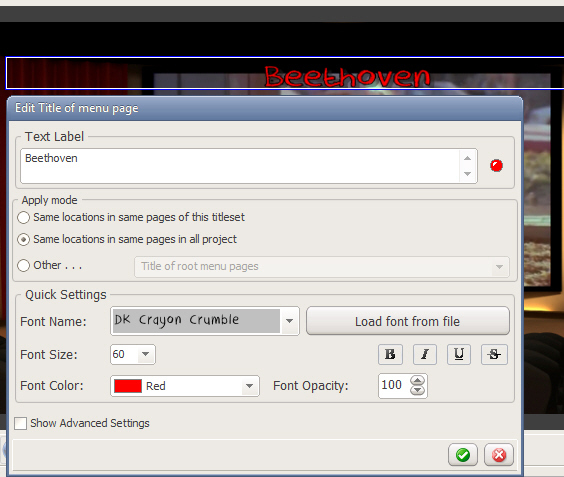 It can be a cpu intensive process to create and display the all the menu pages. By default, the menu will be played with an intro and an outro (a fade in / fade out of the menu items). This is the "time" it takes for the menu item to be fully displayed on screen. During these intro/outro, the items cannot be selected with the remote control, which is why some people who want quick and direct access to the menu may want to remove them. When you play the menu preview, you will notice two balloon hints marking the end of the intro and the beginning of the outro. To edit the duration of these sections, click on the Edit Background icon at the top of the preview and select Edit menu duration. There you can also determine the overall menu duration and decide how long the menu should play for before it loops. That's all folks! 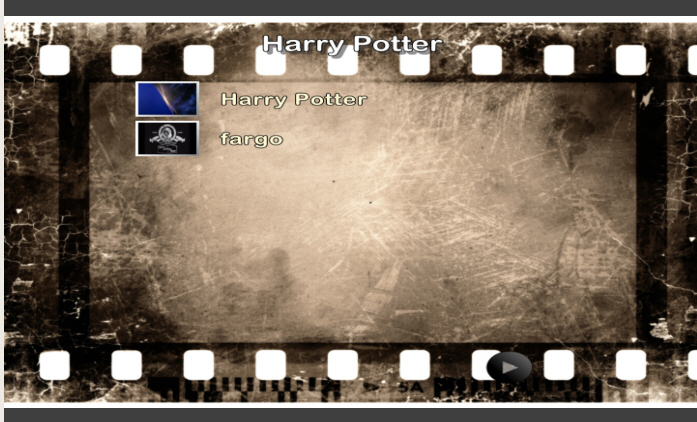 Now you're a real director with full control of your DVD menu!